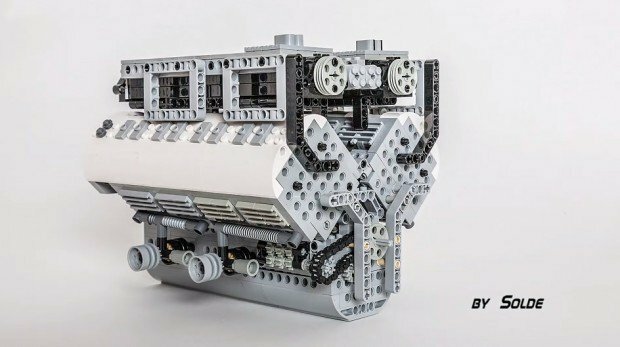 YouTuber Solde expresses his love for vehicles and LEGOs by making scale models of engines using the popular building blocks. One of his most recent creations is a scale model of the W16 engine found in the Bugatti Veyron, one of the most powerful and expensive cars in the world. While presenting his scale model, Solde chose to talk about the actual engine instead, so we barely know anything about the model itself. You’ll see though that it has lots of moving parts; turning the crankshaft from outside starts a series of movements inside the scale model, kind of like a reverse engine. Be sure to check out Solde’s YouTube channel for more of his amazing LEGO engines.